Initial consultation – preliminary look at site, discussion of objectives and budget. Surveys – topographical measured site survey and any other necessary surveys such as tree surveys, soil samples, environmental assessments, and dealing with any planning issues. 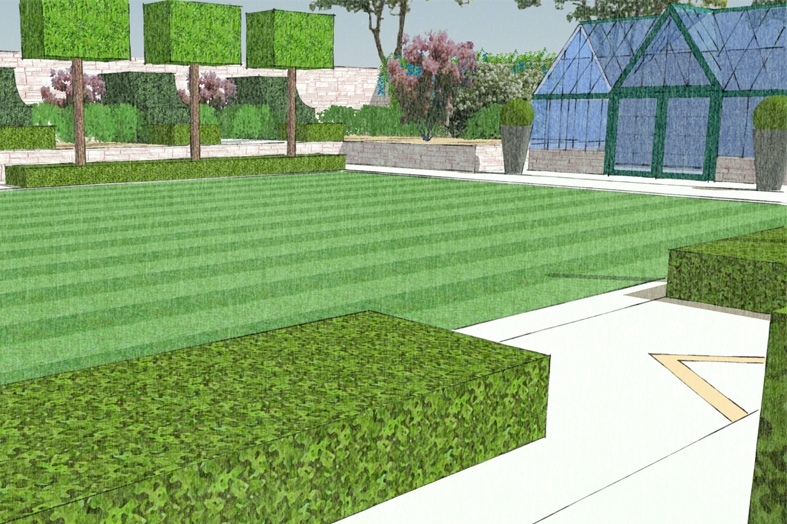 Outline Garden Design – shows the proposed outline concept for the garden including the layout or paths, terraces, retaining walls, water features, lawns and areas of planting. This is presented as a two-dimensional scale plan. 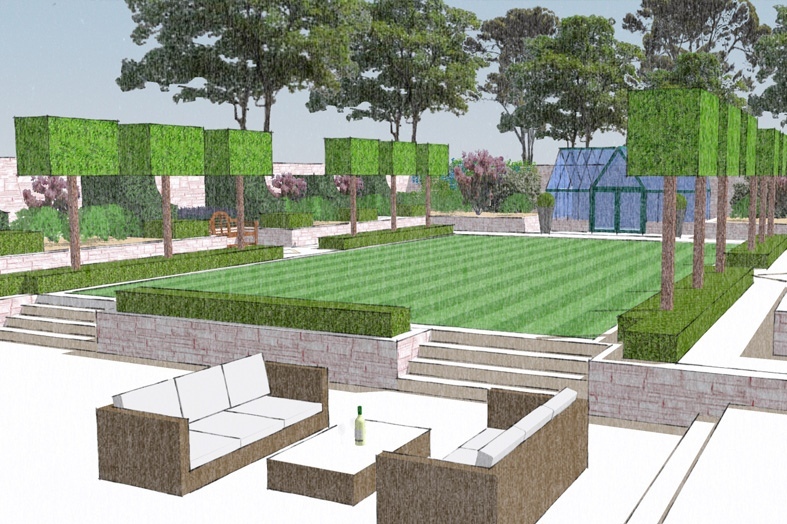 For most projects we can carry out the whole job from the initial consultation to the construction and planting. For projects outside the UK, we offer design and project management only. 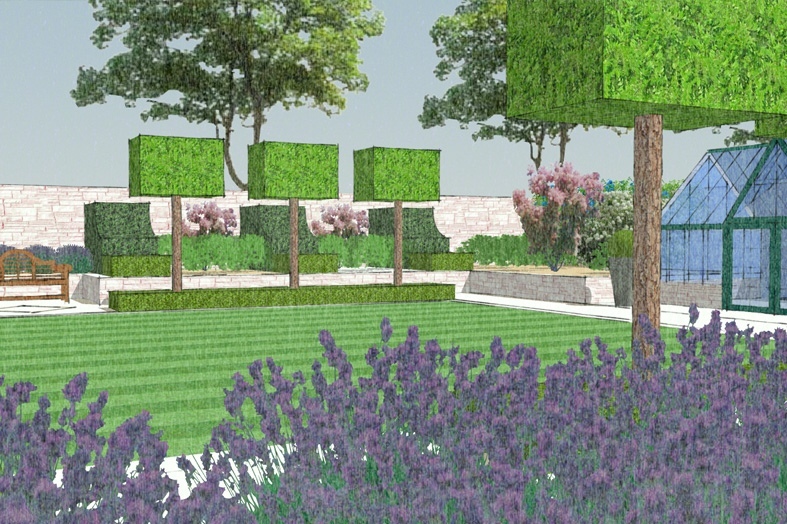 All the gardens shown on this site have been constructed by in-house landscaping teams. 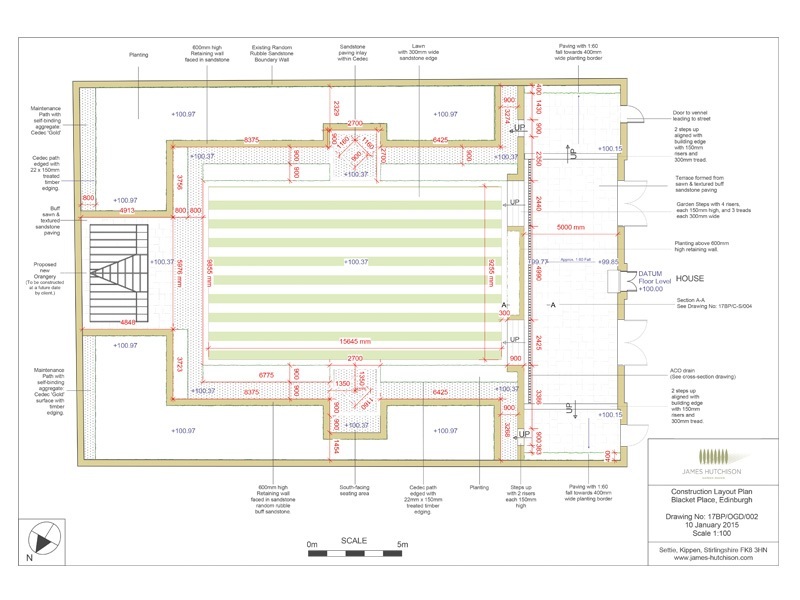 Layout plans with proposed dimesions and specification for the pricing and construction of the job. 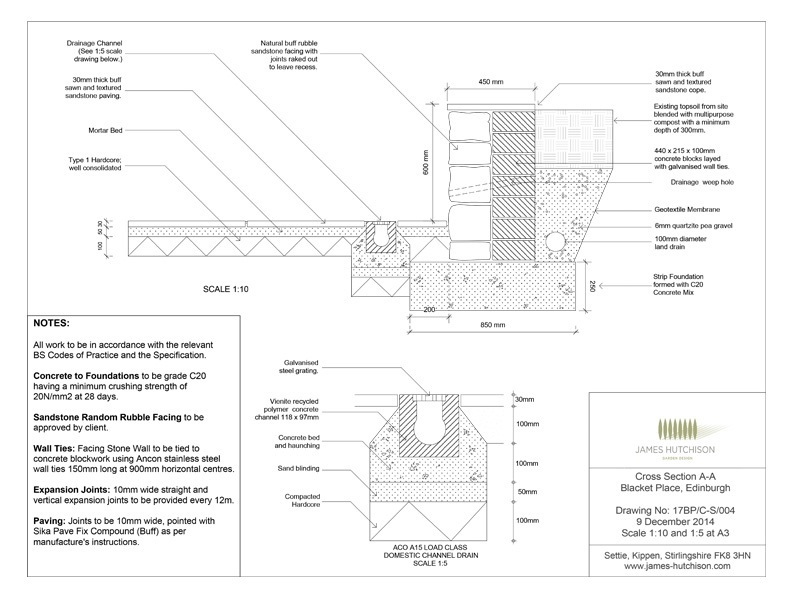 Construction drawings for specific elements such as retaining walls, pergolas and steps. 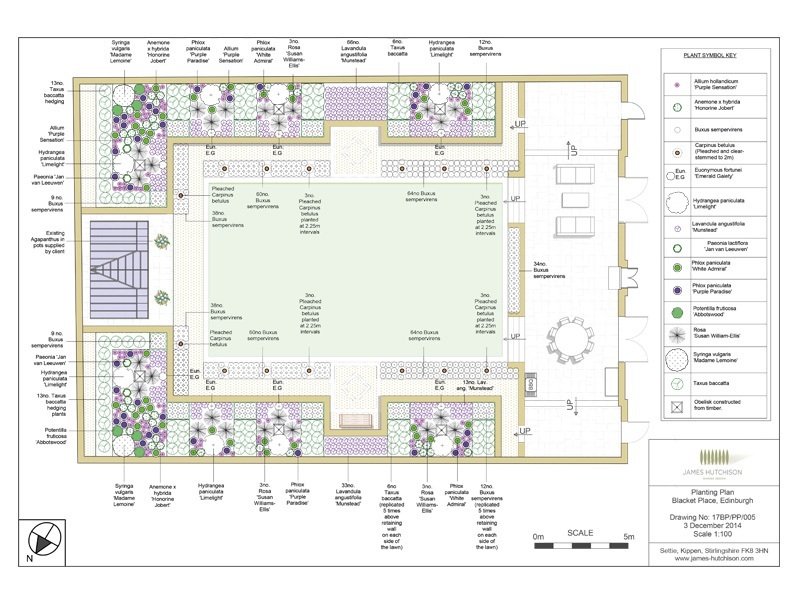 Planting plans can be the DNA of a successful planting scheme and they form a clear agenda for the soft-landscaping. 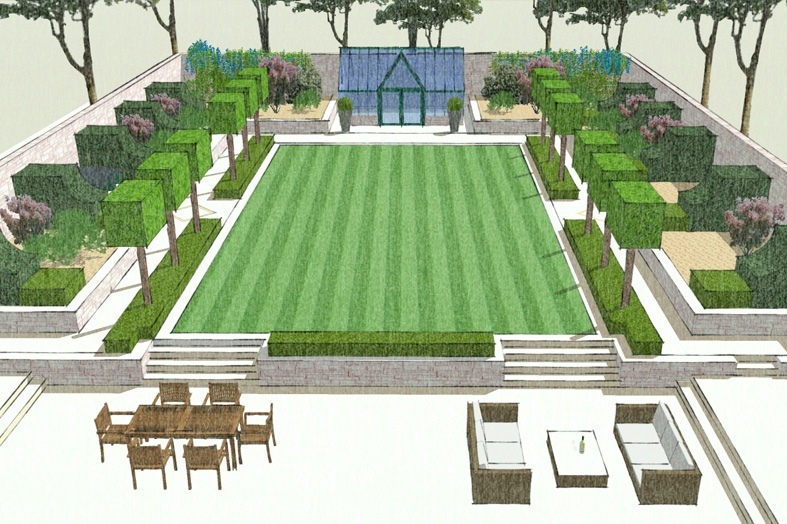 However visualising the plans in a completed garden can be difficult and often clients prefer to discuss the planting over plant images or with mood boards rather than planting plans. We are here to help whichever you prefer! Projects may require detailed construction drawings that outline exactly how that retaining wall, infinity pool or rill is going to be built. We can prepare these drawings which specify the dimensions, materials and appropriate construction technique. 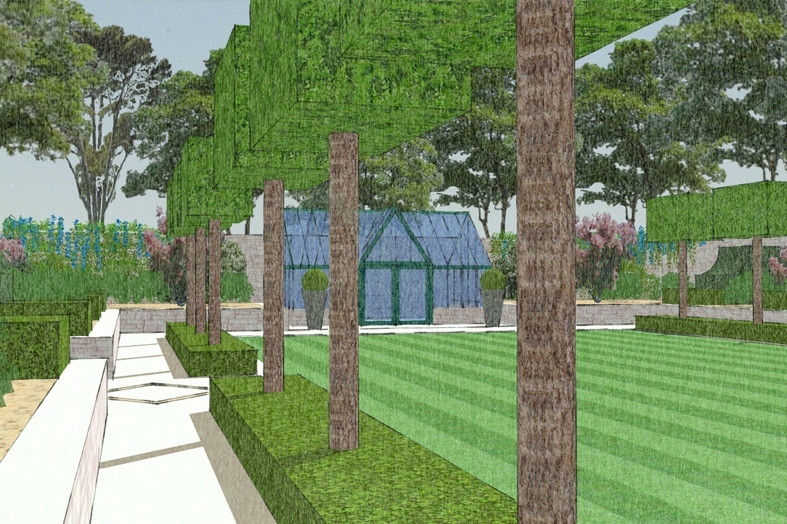 Perspective Drawings - In order to help clients to visualise the garden plans in 3 dimensions, we can prepare perspective drawings. Typically these illustrate the garden from key points, such as the view from the house or from a seating area in the garden. 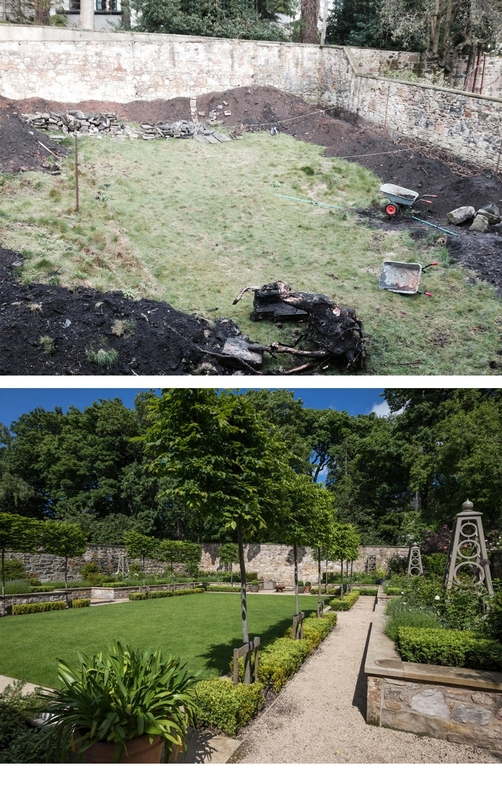 These are images of the Newington garden we built and planted. 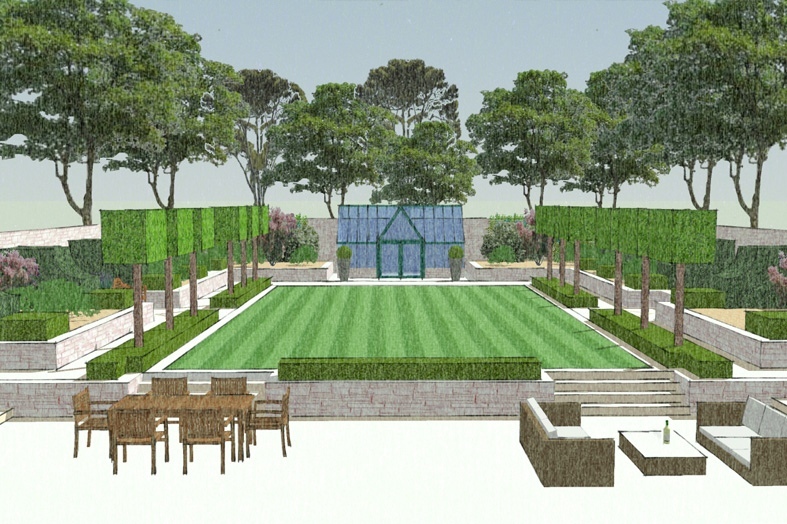 We were fortunate enough to have a hugely enthusiastic client with a keen eye for detail and a desire for a beautiful garden. 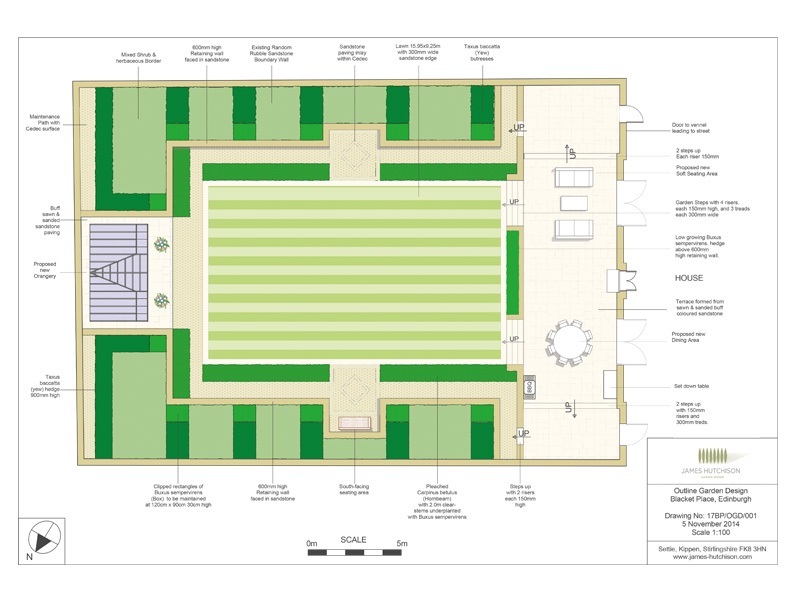 The brief stated that the lawn should double up as a football pitch for the children and a formal garden for adult use. All a massive improvement on the bank of uneven grass and gloomy Leyland Cypress trees that were there before!